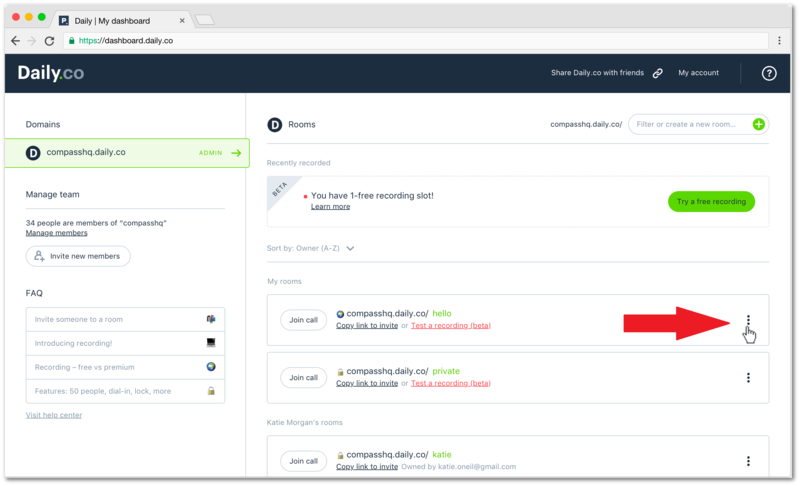 Cloud recording makes storing and sharing your files easy. It's like other services, like Google Drive, OneDrive, or Box, where you keep files in a cloud server. The recordings are found in your Daily.co dashboard. During 1.0, after your first recording, click enable, when prompted, to activate your unlimited free storage. You'll see a notification that your recording is starting along with a 5-second countdown. 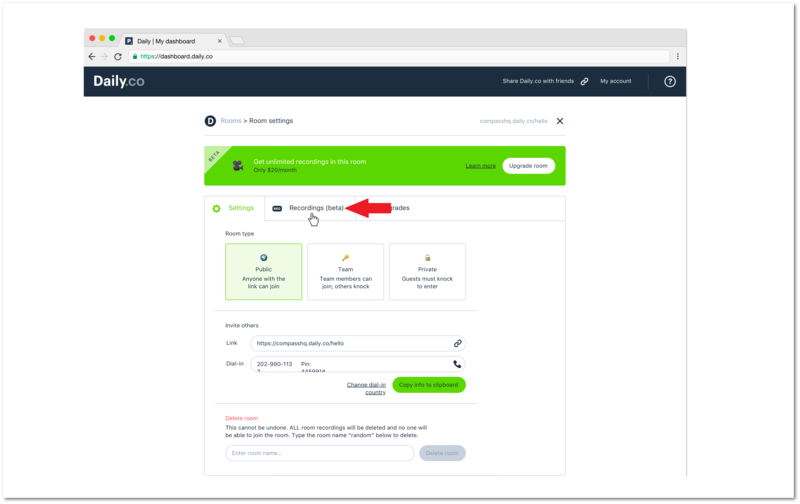 Once your recording starts, you'll see messaging that your your recording is in progress. 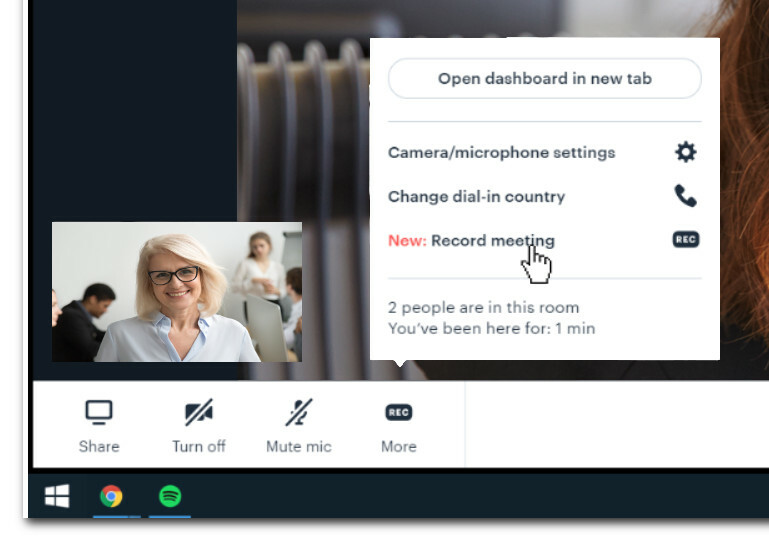 Other participants in your meeting will be notified that a recording is starting and then also see messaging to indicate that a call is being recorded. Click the Stop recording button in the banner at the bottom of your screen. Note: this immediately stops your recording. You cannot start a new recording until your previous recording has finished uploading to the cloud. After your recording has stopped it will finish uploading to the cloud. 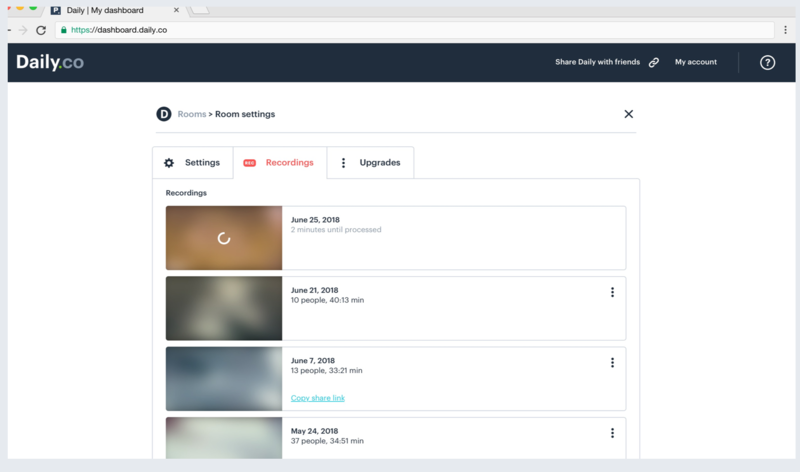 After uploading, your recording will be available to view in your dashboard. You start your recording in a call itself. Or, if you want, you can activate unlimited storage before your call. During 1.0, you won't have to enter a credit card. 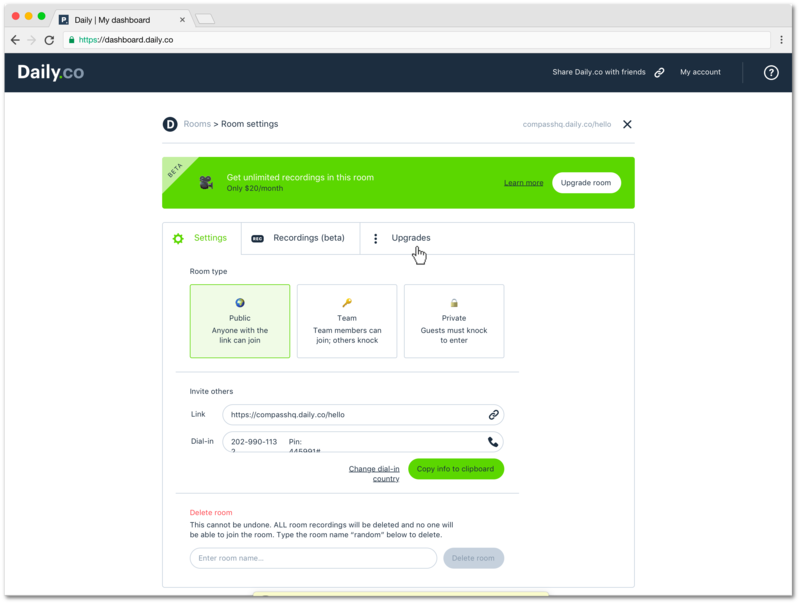 Once your room is upgraded to cloud meeting recording, you will be able to record unlimited meeting calls directly to your Daily.co dashboard. Navigate to your dashboard home screen. Find the room for the recording you want to view. Click the Settings button on the right of side of the room card in your dashboard. In the Room settings, click Recordings in the menu on the left. Find the recording you with to view and click on the corresponding thumbnail. Click Copy share link, and simply send the link. Your recipient just click the link, to view the recording in a browser. How can we help? Live chat with us 9 am - 5 pm PST or email help@daily.co. We're glad to talk!